I’ve been a fan of Gesine Bullock-Prado ever since I discovered her memoir, My Life From Scratch (which many fans remember in its hardcover version was called The Secret Confections of a Closet Master Baker, a title that gives you a great sense of Gesine’s irreverent yet always spot-on approach to baking–and life, for that matter ). Four cookbooks and many, many blogposts later, I remain a devotee of Gesine’s exquisite (and impressively precise) recipes and the overall joi de vivre that she communicates via her candid commentary for each of her recipes, whether in book or blog form. Let Them Eat Cake isn’t featured in this shot–I received my copy in class, which Gesine signed for me! Oh, and she has another book coming out soon (in other news, I need a bigger bookshelf). When I recently saw via her Facebook page that she was opening her home commercial kitchen for classes, via the launch of her Sugar Glider Kitchen, I knew that I absolutely needed to sign up. 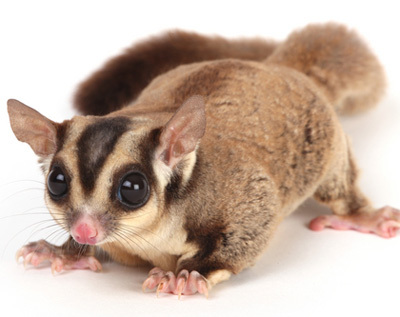 Spring Break for Penn State was coming soon, and so I signed myself up for two classes (and also looked up what exactly a Sugar Glider was–turns out it’s a small possum that glides through the air. Who knew? Well, now you do). When our week of break hit, I piled the kids and hubby into the van and we drove the 8 hours to Vermont in anxious anticipation of all the baking wisdom I’d be learning. Here’s a Sugar Glider. . . cute, aren’t they? Driving up to Gesine’s home was a little surreal for me–her small farm in VT has been immortalized on her website in photo, gingerbread, and animated versions over the course of her baking career and I can attest that it is just as lovely in person as it is in cookie form. Heading around the side from the parking lot to the former carriage house-come-commercial kitchen left me pinching myself a bit–I was actually there! And then Ray, Gesine’s husband, opened the doors to welcome me in with the offer of a homemade maple cappuccino and, well, it just got better from there. My first class, Macaron Madness, was held on a Saturday and lasted for three hours. I was thrilled this class coincided with my Spring Break because I’ve admired Gesine’s macaron recipe in SugarBaby for a long time, but have always been too intimidated to try it on my own. What better way to venture into the dangerous waters of French patisserie than under the steady hand of an expert baker? Each of the eight students in my class were given an apron, utensils, and kitchen counter to work on. Those of us not in pairs already were partnered up with another student (my partner was Marne, and she was fabulous!). The lesson began with Gesine taking us through the basic steps and demonstrating key features of creating the macaron batter. As she instructed at her head counter in the front of the kitchen, we were all able to comfortably gather around to see what she was doing and to ask questions along the way. Gesine is a gifted teacher who is able to do what so many of us teachers aspire towards: Communicating knowledge to her students in a way that is engaging, entertaining, and ultimately creates a lasting foundation for learning. I will never forget her description of how most recipes state macaron batter should resemble magma–and her commentary on how ridiculous that guidepost was! Gesine knows so much about the chemistry of baking that I dare you to try and find a baking problem she can’t remedy. During my time in the kitchen with her, she helped me solve my deflating bagel issue (baking soda bath), the flat ginger cookies I couldn’t seem to get puffy again (less sugar), and my weepy caramel (re-calibrate my candy thermometer). After her demonstration, Gesine sent us back to our counters to create our batter. She visited each team, finding utensils, providing feedback on the progress of our meringues and sugar syrups, and just chatting with students about their baking interests and questions. If you make mistakes–Marne and I encountered an unfortunately reluctant meringue at first–she helps you troubleshoot the issue and provides quick support to get you back on track. Oh, and she also has her own baked goods that she passes around for students to enjoy while they watch their egg whites whisk or their sugar boil–my two classes featured her own macaron, palmiers, and fruit tarts. And, damn, were they delicious! Halfway through the class we regrouped so Gesine could demonstrate how to make the buttercream filling and assemble the macaron. As we proceeded to make our own fillings, Gesine once again moved around the kitchen, checking in with everyone on their progress. At one point she asked other students to gather around for a look at our buttercream as an example of what it should look like–I just about died from pride (especially considering the many buttercreams I’d ruined over the years until I finally got the technique down)! Gesine made this for me. . .
By the end of the class I no longer felt frightened by these fancy French cookies. Indeed, I felt confident I could make them on my own at home. That’s the gift Gesine’s cooking classes give you–the confidence to try those difficult bakes you’ve always wanted to do, and the techniques and know-how you need to get them perfectly right. At the end of the class Gesine welcomed in my entire family (who of course wanted to meet her in person, after hearing me wax poetic about her baking skills for so many years) with hugs and macarons to take home. The three hours just slipped by. . . Which brings me to Sunday’s class, Confetti Cake. Another 3-hour hands-on class. With it being a Sunday morning, and a smaller class of five students, the vibe in Gesine’s kitchen was a little more relaxed even than it was before. The bake itself was less challenging than the macaron and everyone seemed to ease into their recipes with the brunchy attitude of enjoying a process that was to be experienced without any sense of rush. Capuccinos were made once again by Ray (who also, by the way, does dishes for the class between baking stages) and Gesine passed around her lovely pastries for us to enjoy. We gathered at her counter for demonstrations, and this time my baking station was seated at the front where Gesine was essentially my partner (our cakes ended up sharing a sheet pan and, like Gesine assured me despite my hesitation at having my baked goods so close for comparison to hers, they turned out exactly the same). We froze our cakes for a bit to help them set. Can you tell which is mine? Our classes ended with a relaxed timeframe for decorating our cakes with our yummy and fluffy ermine frosting. Gesine gave us tips for getting a perfectly smooth coat, the importance of different baking tools, and even how to use a kitchen torch to ensure the most unblemished of frosting applications. Each of us had our own cake to take home with us, which my family promptly devoured in our hotel room. Although I was sad to see my cooking time with Gesine come to a close, I left with a variety of new skills, a healthy boost to my baking confidence, and with the knowledge that I met my baking hero and that she thought I could make a mean buttercream. Meeting and baking with Gesine is an experience I will treasure–and one I hope to repeat again very soon. For now, though, I’ll have to be satisfied with baking with her through her cookbooks–here I am making pizza dough from Pie It Forward in another keepsake from my trip to the Sugar Glider Kitchen: a bespoke apron hand-made by Ray Prado himself. Fits like a dream, gorgeous material, and just looks so darn cute. Can’t make it to VT? You can still get an apron with your own little possum here. I would be thrilled to take one of Gesine’s classes. What a privelege!